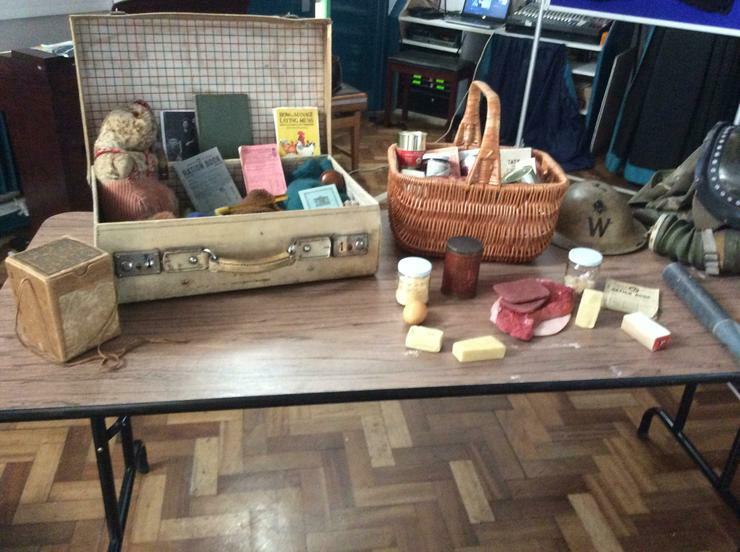 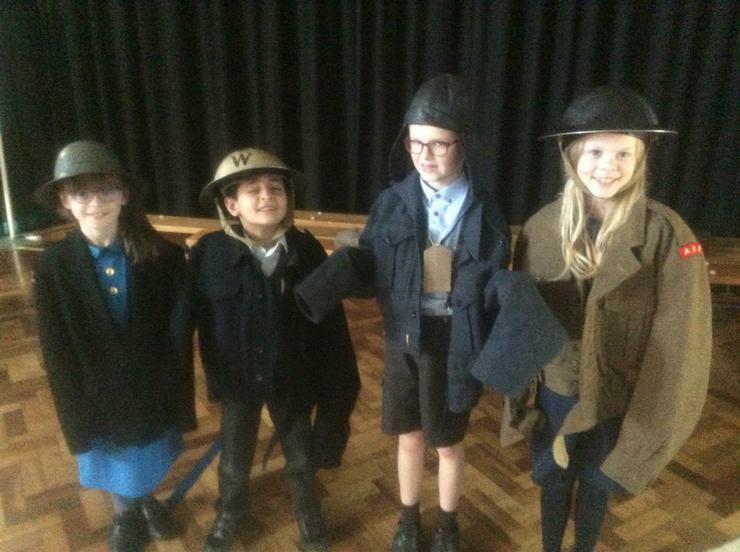 Year 4 enjoyed a workshop by the War Memorial Museum. 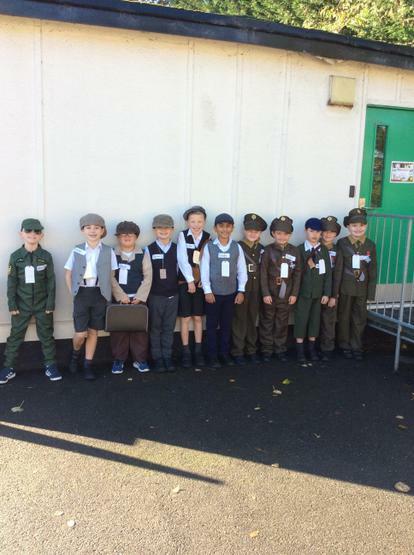 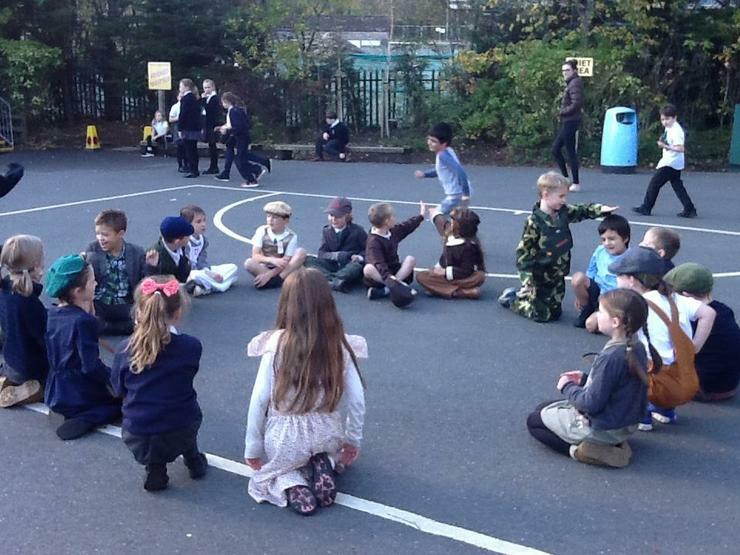 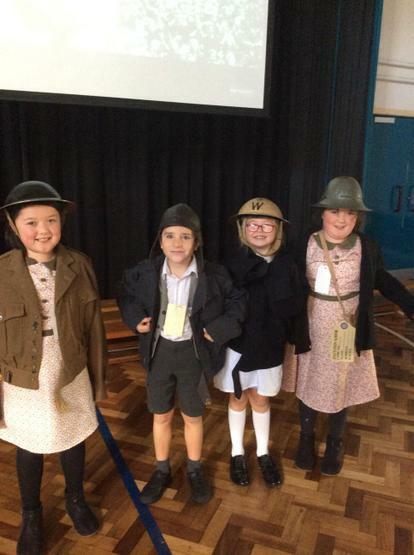 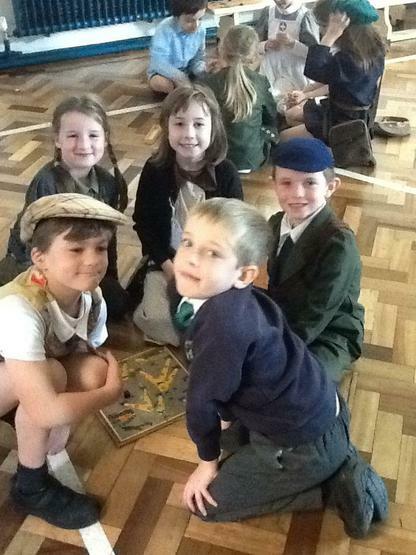 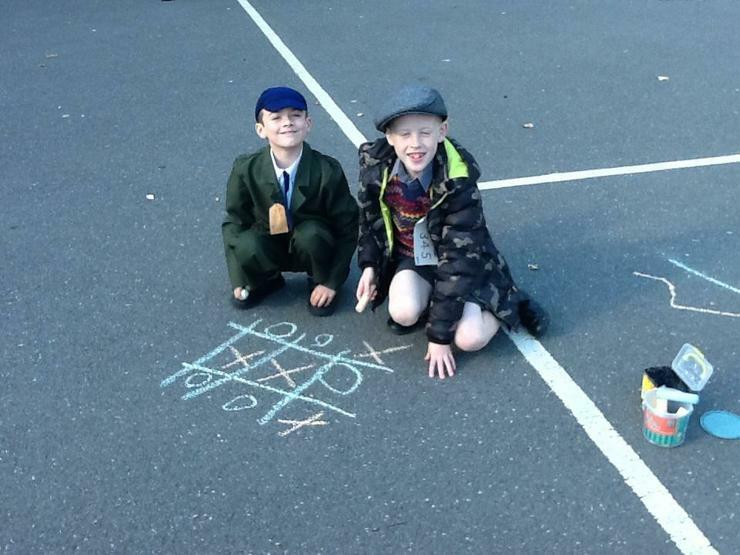 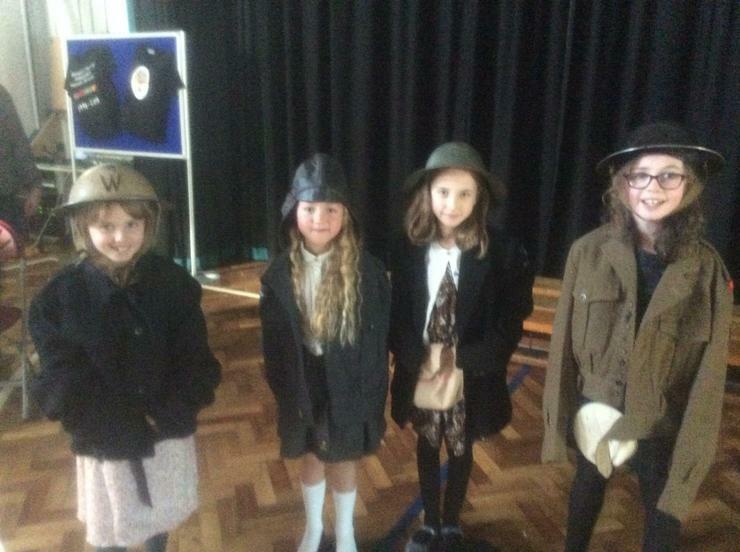 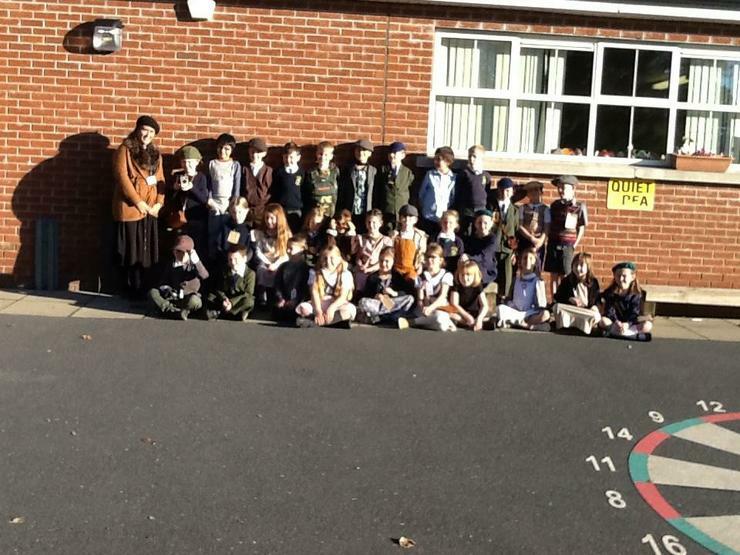 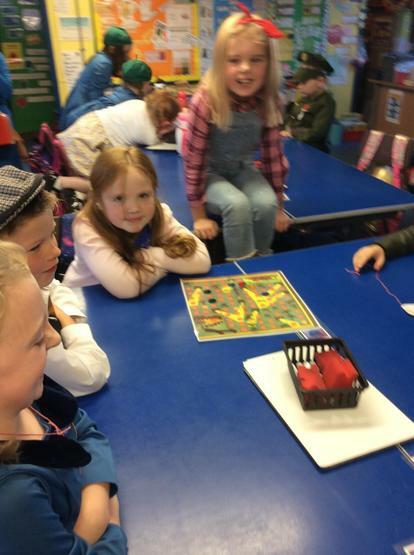 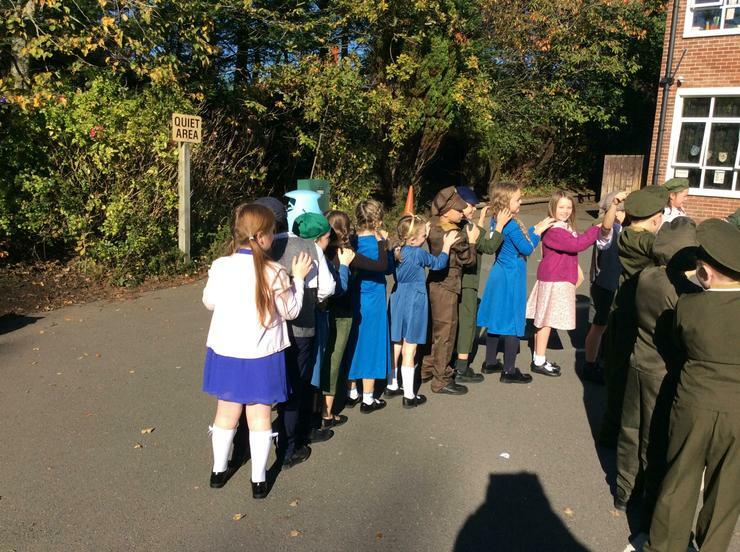 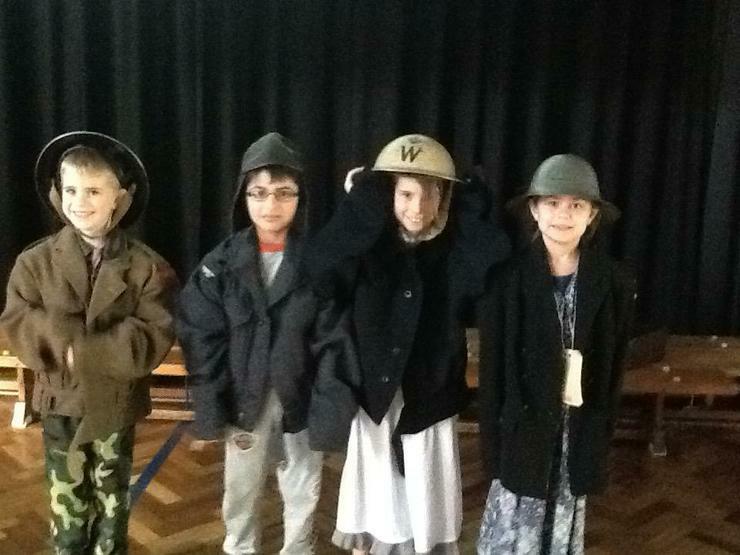 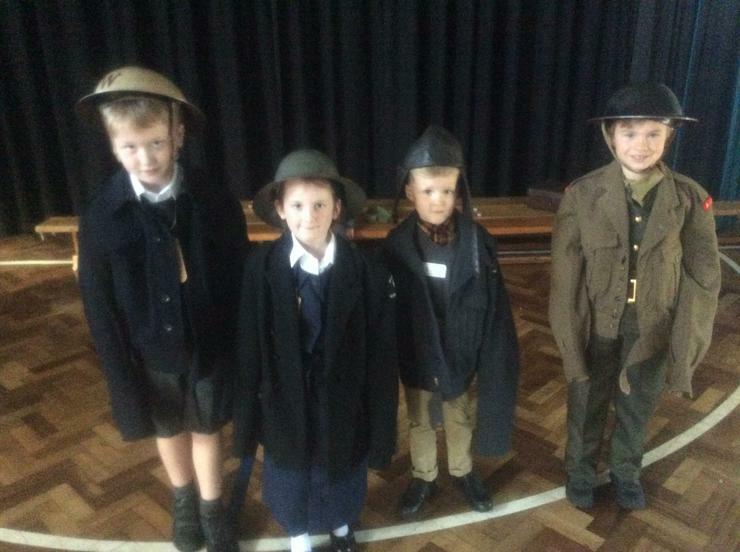 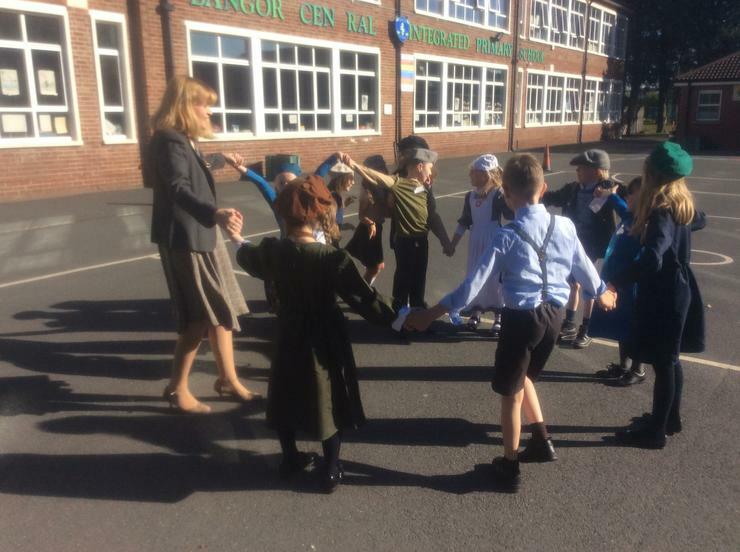 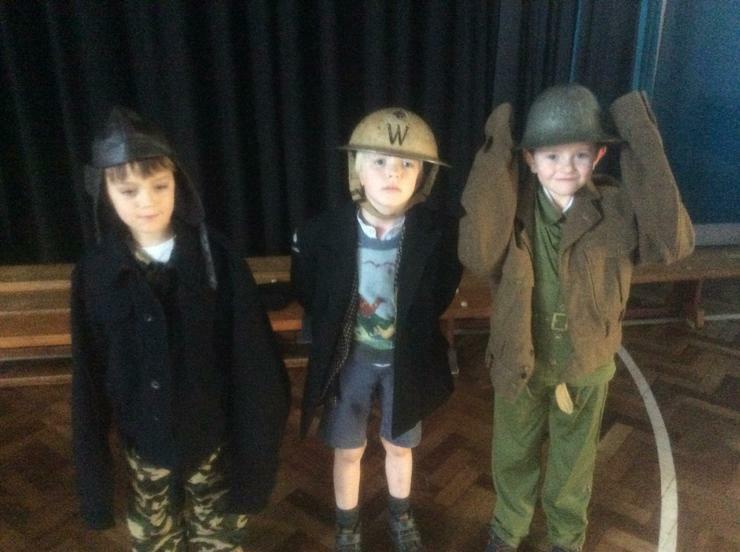 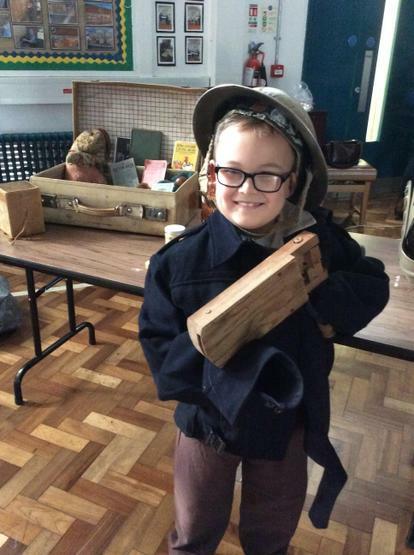 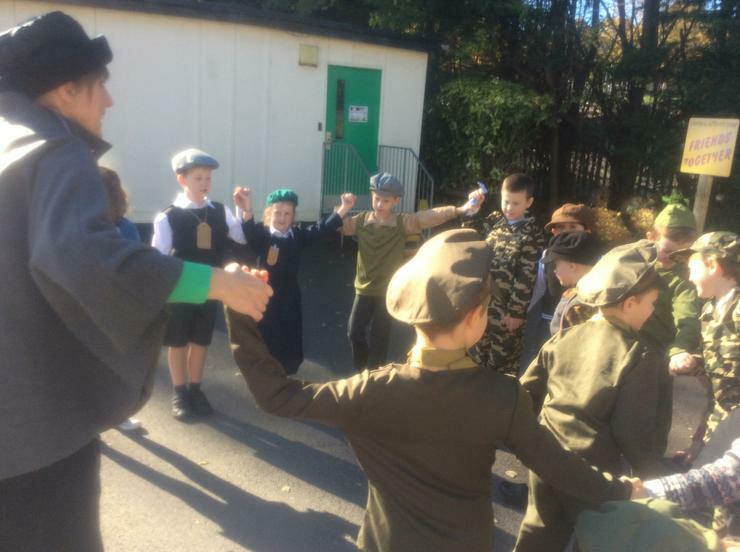 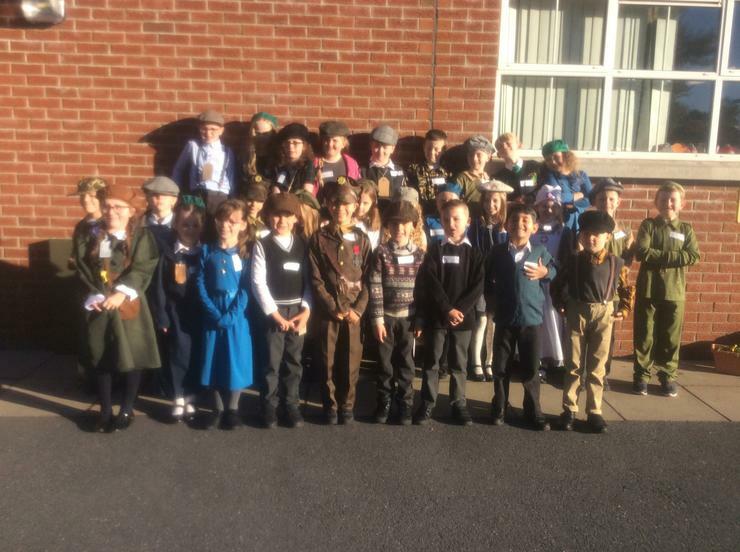 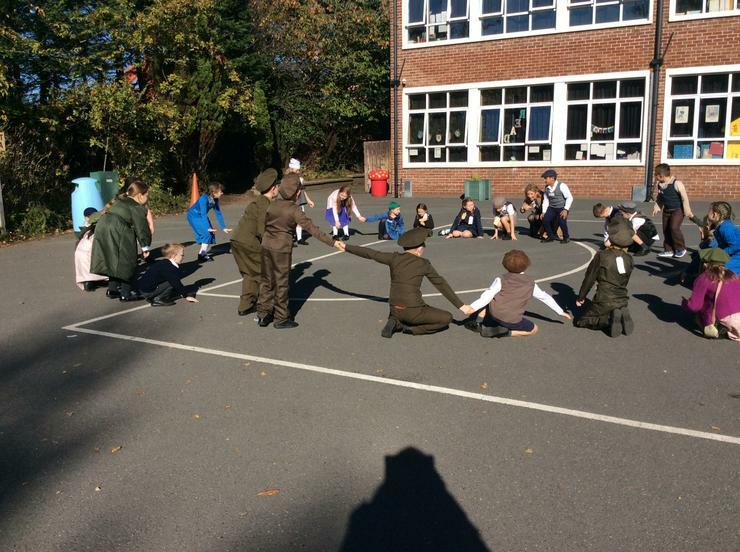 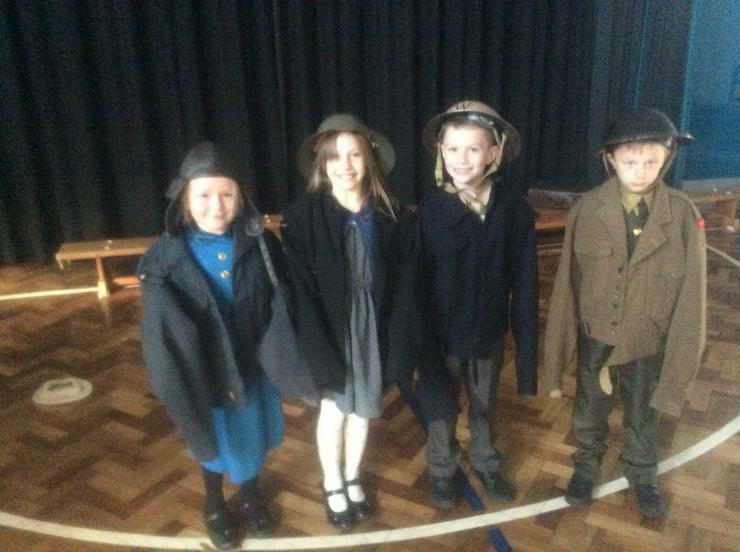 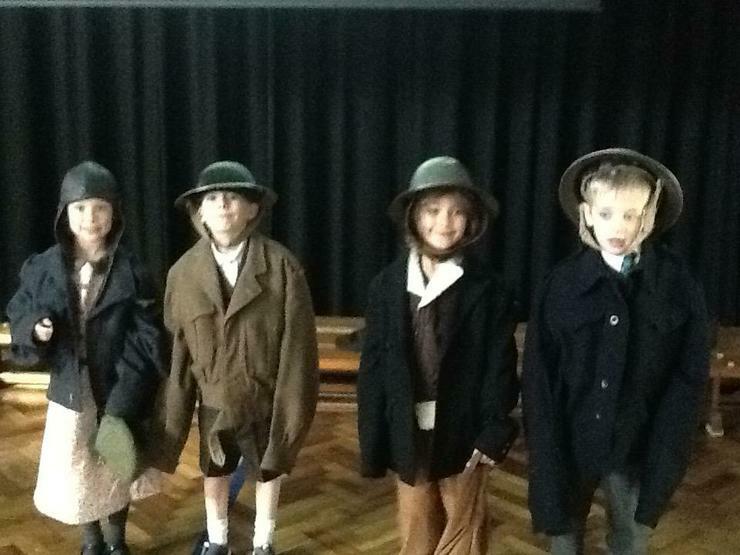 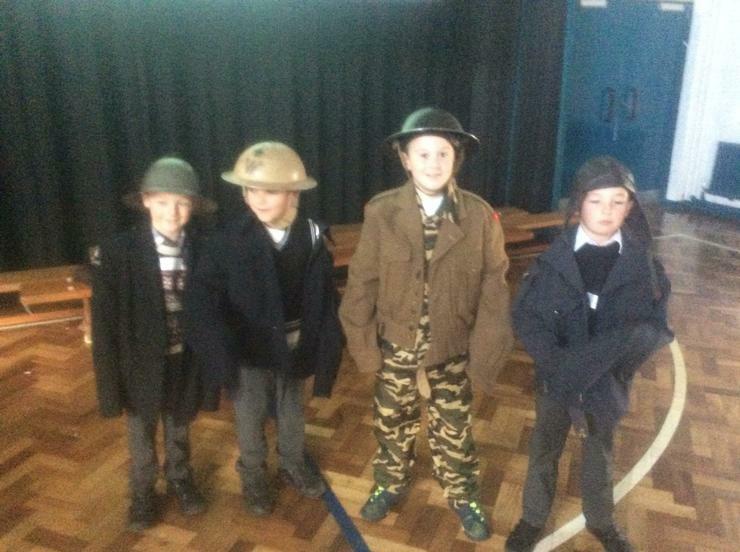 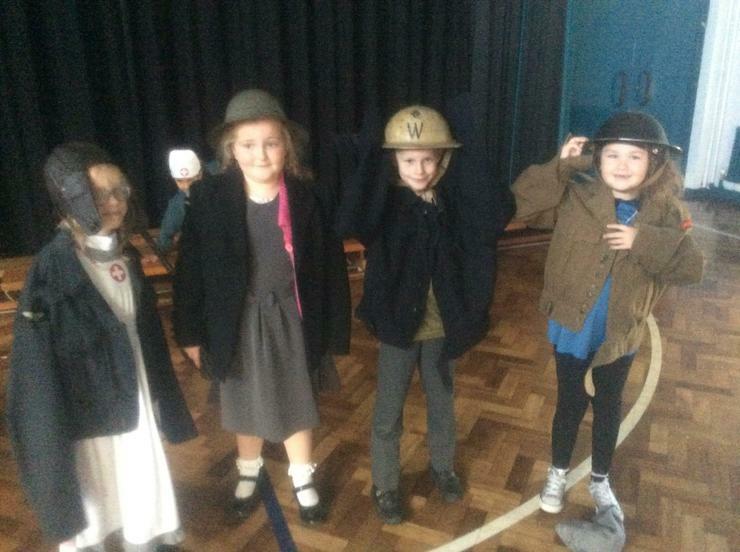 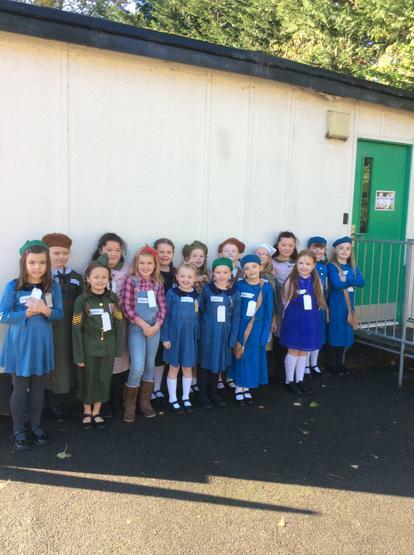 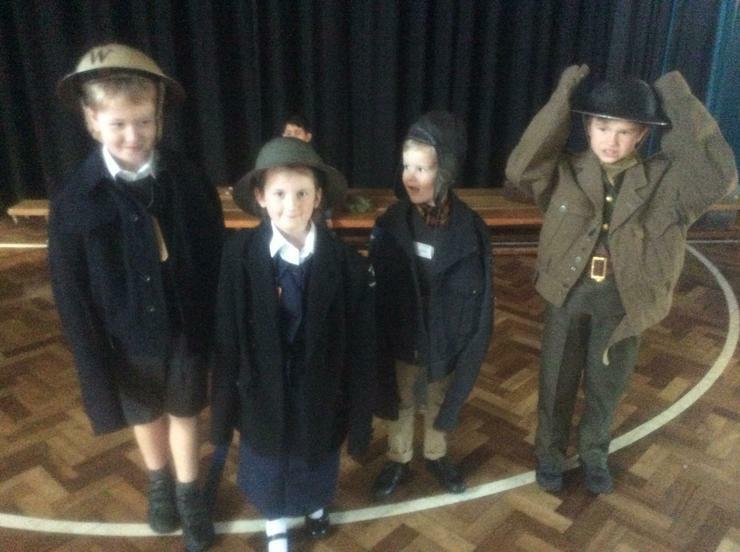 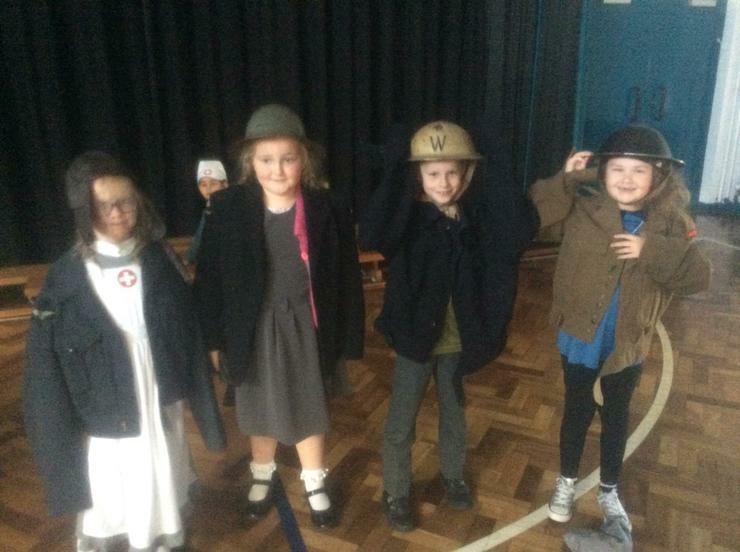 We heard stories about life during WW2 and dressed up as air raid wardens, pilots and nurses. 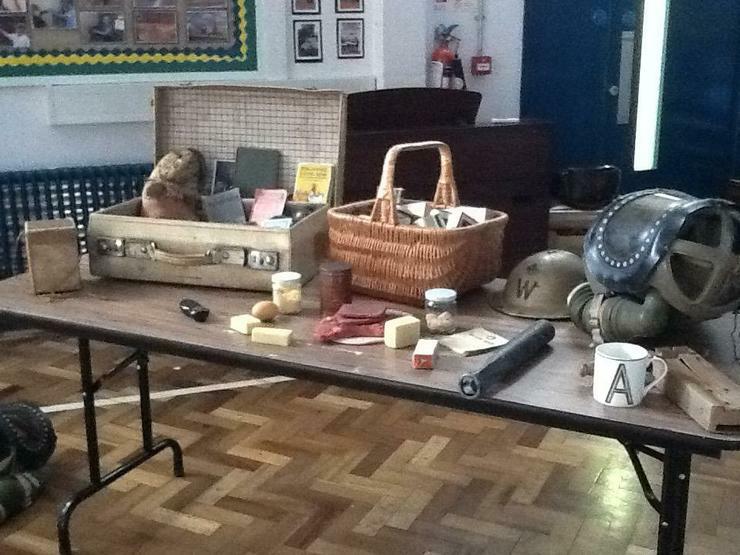 We saw real WW2 gas masks and played wartime games. 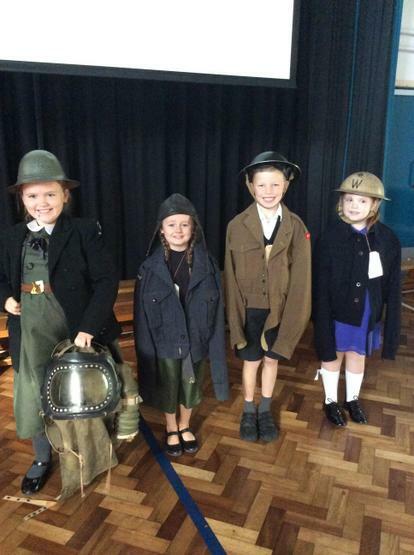 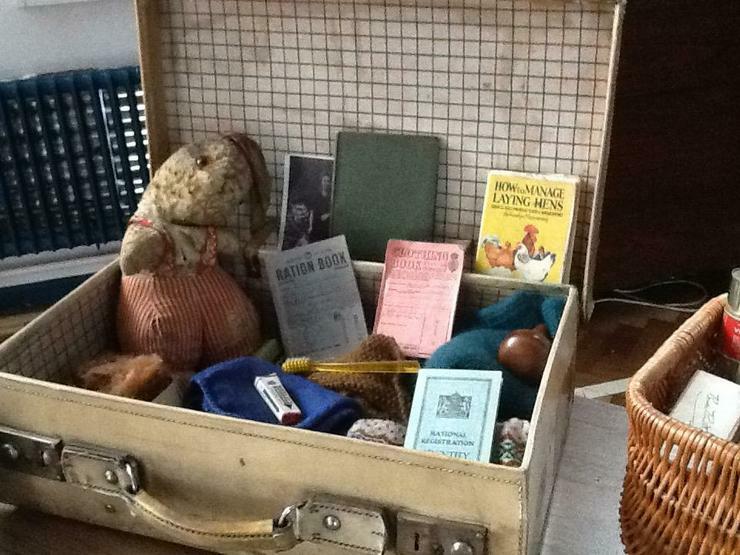 We would ask parents/guardians to discuss family links with WW2 with their children. 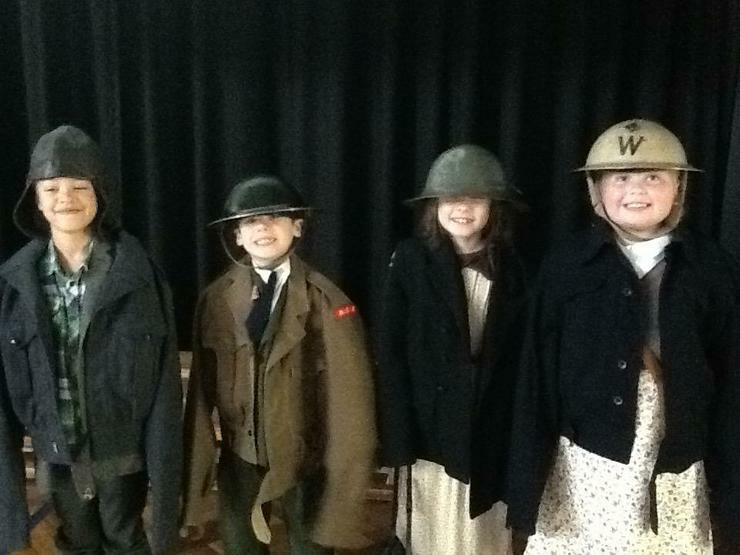 Visit the war memorial in Ward Park and research information about the war on the internet and in books. 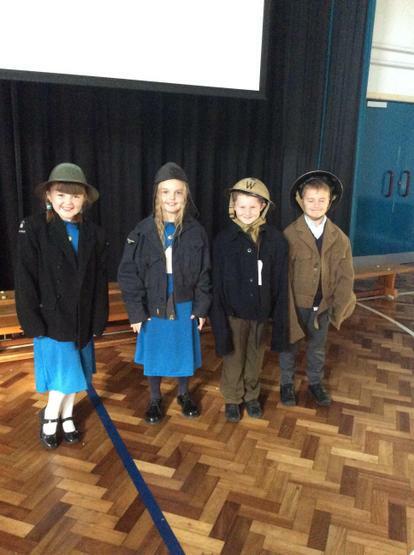 If you know someone who could come into school to share their memories,please let us know. 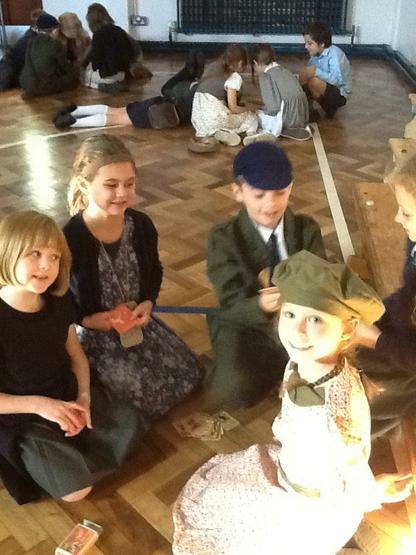 Dressing up as a WW2 evacuee, nurse, soldier etc. 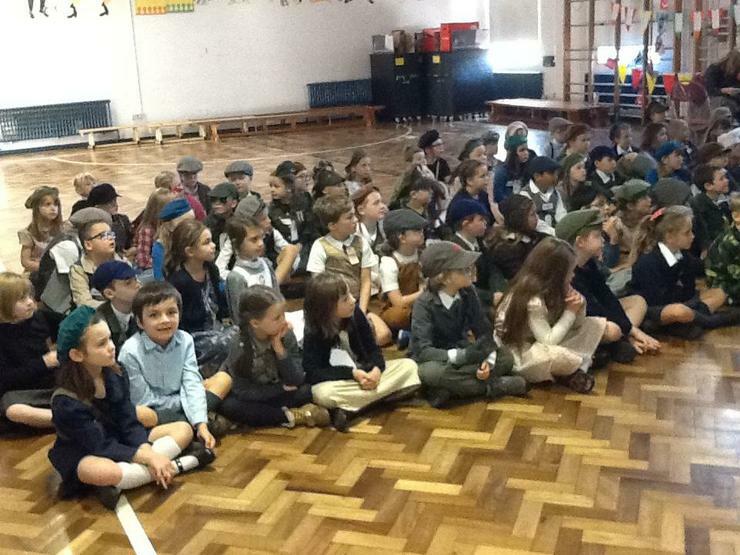 In this topic, Year 4 will be finding out about birds and their natural habitats. 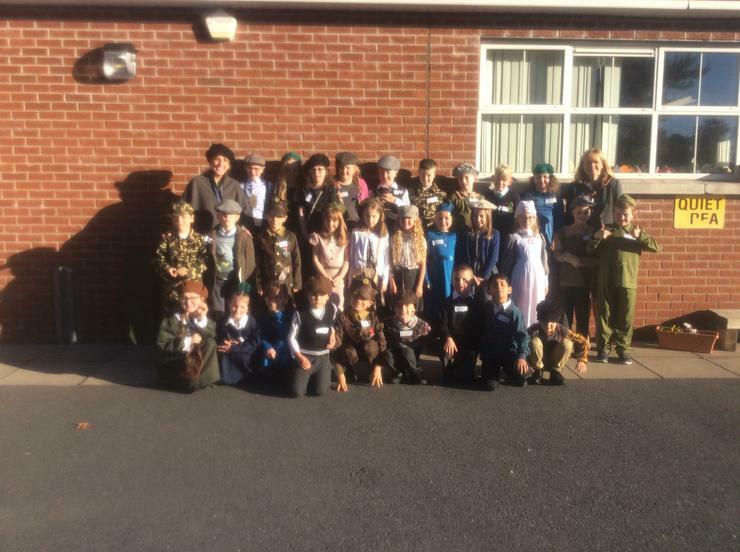 How do we look after birds? 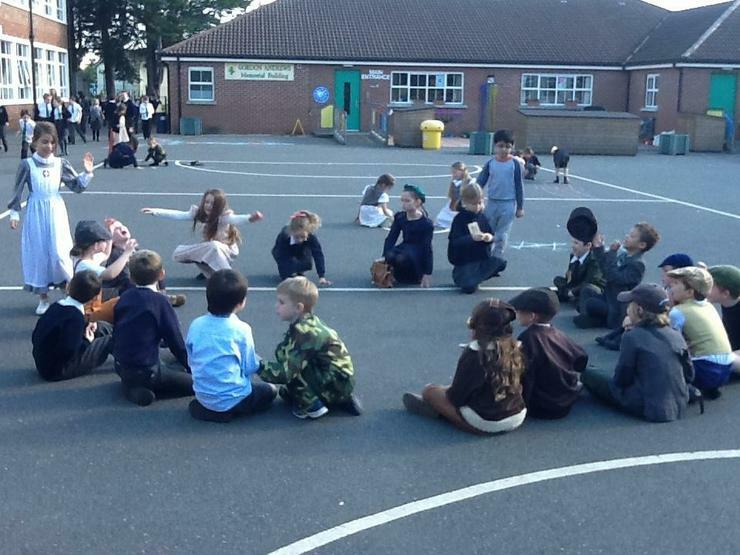 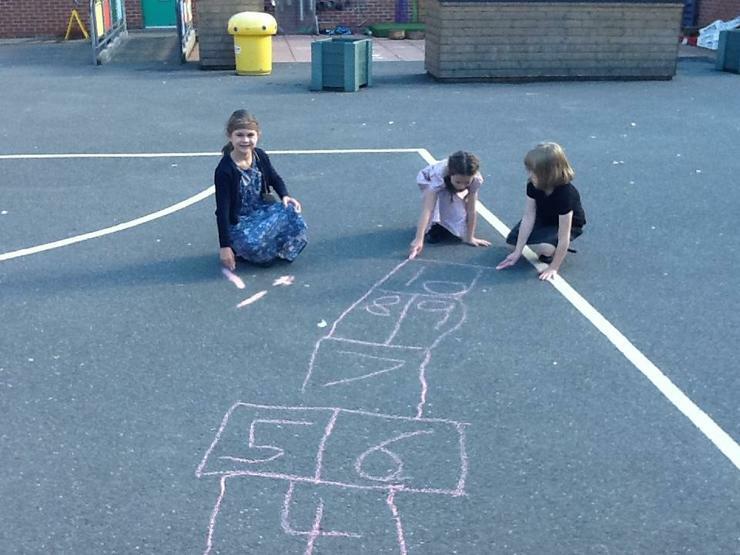 As part of this topic, the children will observe and feed the birds in and around the school grounds. 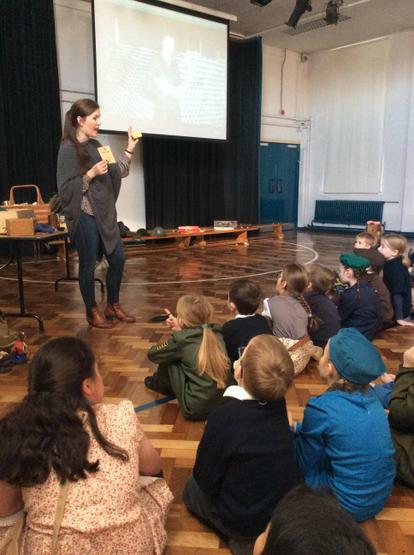 The children will design and create their own species of bird. 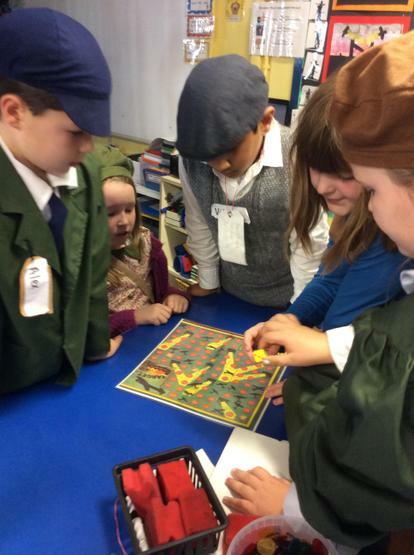 Making yummy scrambled eggs before procedural writing! 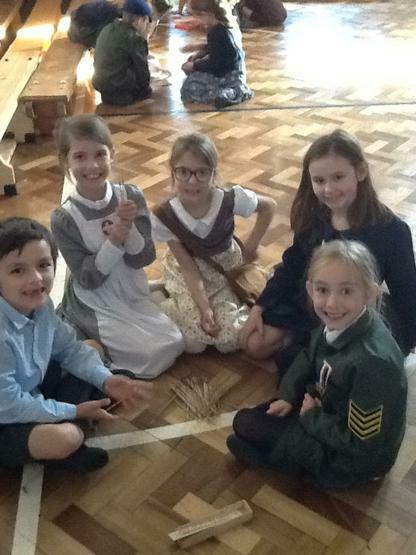 Our nests are ready for eggs!